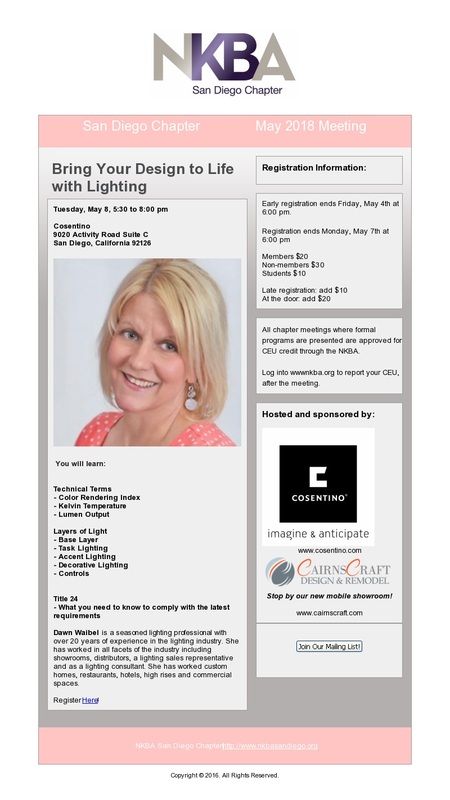 NKBA San Diego is the local chapter that brings together local San Diego Kitchen & Bath distributors, retailers, remodelers, manufacturers, fabricators, installers, designers, and other professionals – and provides a resource for local consumers to research, educate and connect with San Diego Kitchen and Bath professionals. 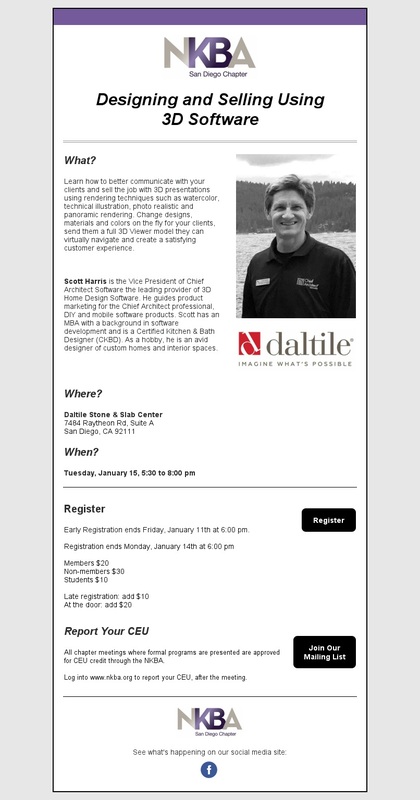 Click here to visit the NKBA San Diego website. 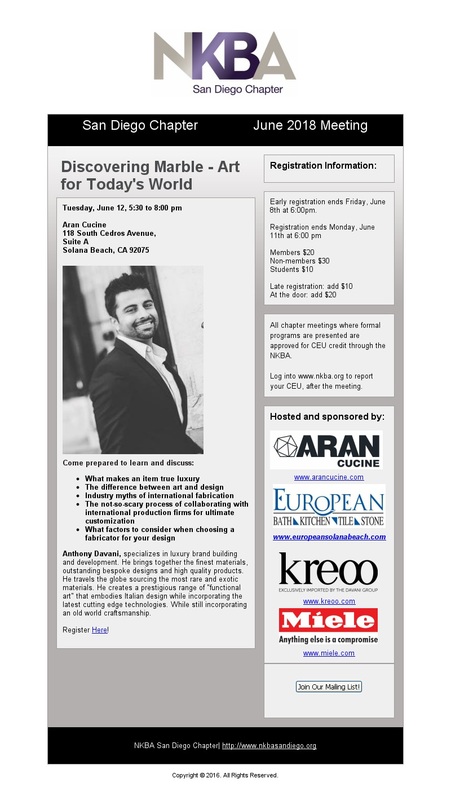 Learn what new technologies, product innovations and their effect on bathroom design. How the increased focus on wellness has created a demand for spa-like bathroom spaces. How the kitchen as the hub for the home calls for a centralized work space. Changes in the industry and how they may affect our businesses in the near future. 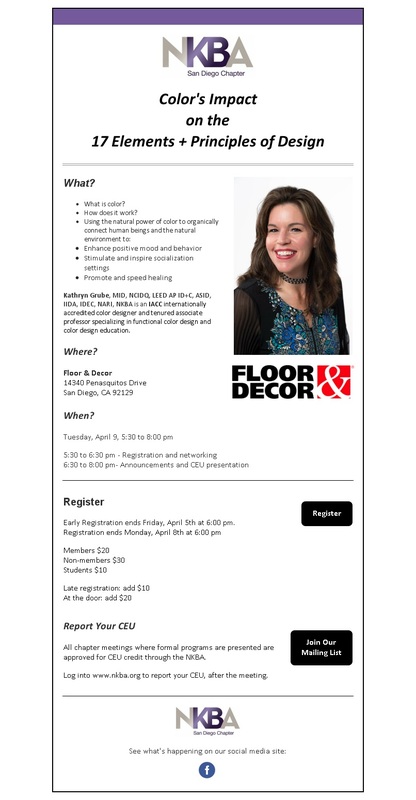 Come hear how the NKBA can benefit you! Oktorberfest at Bedrosians Tile & Stone NEW Showroom! Designing for two can be tricky. How do you pull together one project that simultaneously speaks to the individual tastes, desires, needs and personalities of two unique people? Presented by Christopher Grubb. Review lifestyle design trends that affect home design and how expression is carried over to the sink. 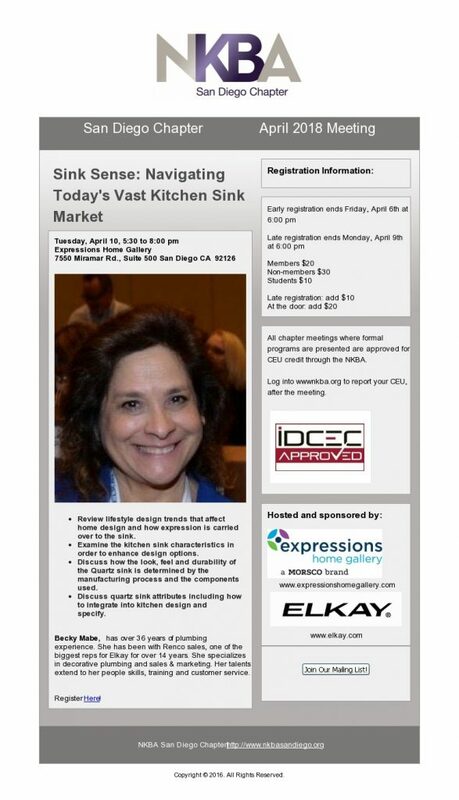 Examine the kitchen sink characteristics in order to enhance design options. manufacturing process and the components used. 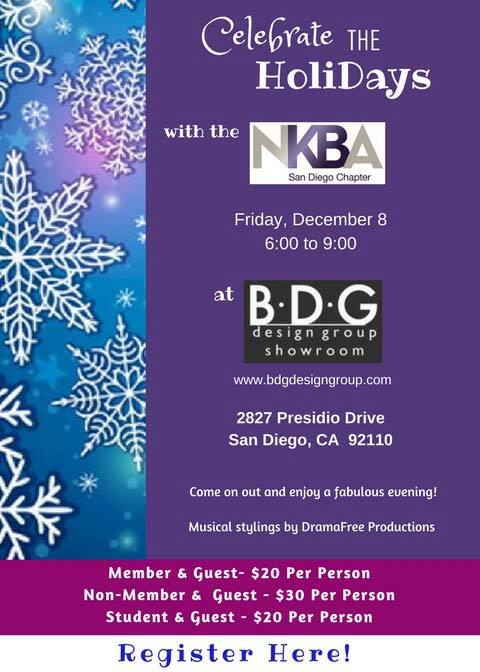 Celebrate the Holidays with NKBA San Diego Chapter!